Here’s how to downgrade to iOS 11.1.2 for upcoming jailbreak while keeping your data intact from iOS 11.2.1 on your compatible iPhone or iPad device. It is important to note that Apple is currently signing iOS 11.1.2, so if a jailbreak is something you are seriously looking into, you may want to hurry before the signing window expires as that might happen any time now. So let’s dive right in and look at how you can go about doing this on your device. 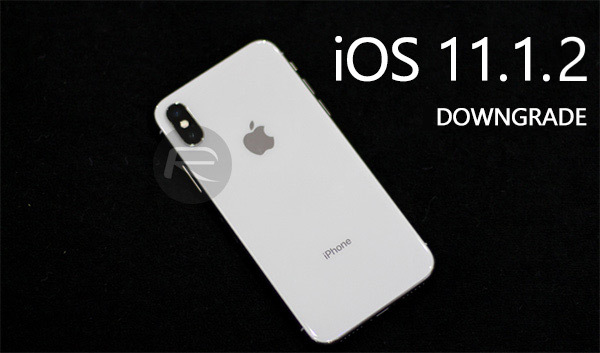 Step 1: First and foremost, you are going to need to grab the relevant iOS 11.1.2 IPSW file for the device that you are actually using. As an example, if you are looking to restore an iPhone 6s, then you will need the iOS 11.1.2 IPSW file built specifically for that device type and model. You can get them all from here: Download iOS 11.1.2 IPSW Links And OTA Update For iPhone, iPad, iPod touch. Once download, move on to the next step below. 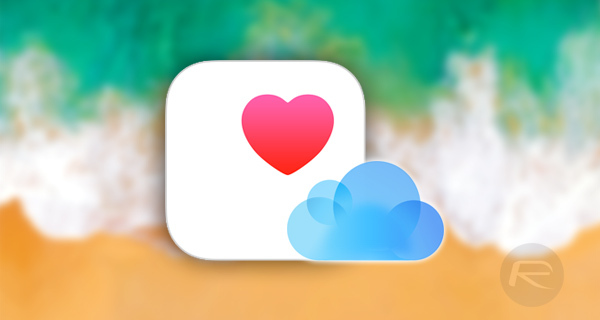 Step 2: Next up, on your iOS 11.2.1 iPhone or iPad, make sure iCloud backup for Health is enabled, meaning that all Health data is being backed up to iCloud. Also, do a full device backup on iCloud while on 11.2.1 from Settings > iCloud > iCloud Backup > Back Up Now. Step 3: Once done, connect the iOS device to your PC or Mac with the latest iTunes installed. Head into the device information in iTunes so you can see information pertaining to your connected device. You are going to manually need to restore to a selected IPSW file. If you are running a Windows-based PC, then this means holding down the Shift key and clicking on the Update button. If this is a Mac, then you will need to hold the Option button and click on Update. Step 4: When prompted, select the IPSW file that you have previously downloaded. This will be stored on your computer so you simply need to locate and select it. iTunes will then go through its normal process of restoring the device to iOS 11.1.2. Step 5: Once done, and with access to the device, you are now going to need to do delete your existing iCloud backup followed by creating a new one from your iOS 11.1.2 device. Step 6: Once that backup has completed, you will essentially need to repeat the process from Step 3 to Step 4 above, except that this time you will need to do Shift + Restore (Option + Restore on Mac) using iTunes. Step 7: Once that process has completed, you will have a freshly restored device on iOS 11.1.2. Now when setting up the device fresh, you simply need to select the option to restore from iOS 11.1.2 iCloud backup that you made in Step 5 above. Once complete, you should have a device running on iOS 11.1.2 which should be jailbreak-ready and with all of your data, including Health data from iOS 11.2.x intact. Now just sit tight and wait for the jailbreak to drop for iOS 11.1.2 based on Ian Beer’s exploit. Is it posible to do the same but from backup made in iTunes not on iCloud? JB it its for Iphone 6 or Iphone 6s and high? The problem with waiting is there’s a possibility that a jb gets released after Apple stops signing 11.1.2 leaving you unable to downgrade at that point. Yes 11.2.1 is the newer version but the exploit is patched in that version. 11.1.2 is the last version of the talked about exploit still not patched which makes it the best version to be on for this potential jb. I did the iTunes option/shift + Update from 11.2 to 11.1.2 a week ago. But I didn’t do the backup/restore part. I’ve done this this type of downgrade w/ keeping data many many times going back several iOS versions without any issues. Does anybody know what exactly the backup & restore part accomplishes? I think the system partition will be identical and the data partition will be the same too (because it was backed up after the “Upgrade” ). Do those second set of steps serve any clear purpose or are they perhaps placebo.?? Seems to me that the system install performed under “Restore” isn’t any cleaner than “Update” because both ways use the same full-IPSW method. . Curiously the apple pay cash feature is still available after the downgrade. I thought 11.2 was needed for that feature but after the downgrade it’s still there listed as a card, and the on/off toggle is still there too in settings. I was getting the error 3194.